Dentistry, in one form or another, has existed for nearly as long as humans have had teeth! 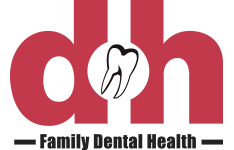 The early days of dentistry was based on a reactive approach to dental needs, arising out of necessity when a tooth was broken or causing pain. Early attempts at dentistry aimed at minimizing the potential for widespread infection and did not offer effective forms of pain control. Today, dentistry has evolved far beyond where it once began, and now exists in a capacity that allows teeth to be cared for in a manner that is both proactive and reactive. This means that while we are still working reactively when issues such as abscess arise, our understanding of teeth and their biological composition allows us to take steps to mitigate problems such as dental caries. This preventative behaviour can be seen as being proactive. In relatively recent years, dentistry technology has even taken us one step further, as seen in cosmetic dentistry. To learn more, please give us a call! All services performed by a general dentist. Cosmetic dentistry is a field of dentistry that aims to support the aesthetic appearance of the teeth first and foremost, despite what could be a healthy and comfortable functioning jaw. This means that when our mouths are healthy and functioning comfortably and effectively for speaking and eating, we can still take steps to improve the appearance of the smile. The appearance of our smile matters more socially now than ever before. Since our population enjoys an abundance of nutrient-dense foods and cares for their mouth by seeing a dentist regularly, it is no longer common for us to expect to lose our teeth as we age. The vitamins in our food, fluoride in our water and toothpaste as well as good oral hygiene practices promote healthy teeth that can stay with us for life! And since our teeth are the center of visual focus during our interaction with others, it would follow that a beautiful smile positively impacts our level of confidence and self-esteem. Cosmetic dentistry offers the opportunity to elect to make changes to our teeth and their appearance. Our Cosmetic Dental Services can help you achieve the look for your teeth that you've always wanted to brighten your smile! Whiter Teeth? Straighter Teeth? No Problem! We offer a wide range of cosmetic procedures that help you reach your goals. Whether it's a whiter smile or straighter teeth, give us a call today! Teeth whitening is among the most requested cosmetic procedures, due to its efficacy and its non-invasive nature. Teeth whitening allows us to lighten the teeth by several shades without the need for anesthetics or high-cost procedures. While many teeth whitening products exist on the market today, professional teeth whitening is conducted in a clinical setting where stronger products can be used to increase the effectiveness of the treatment. Whitening or ‘bleaching’ agents containing peroxide are applied to the surface of the teeth that are exposed during regular speaking and smiling. The peroxide works by penetrating the channels in the tooth’s enamel and whitening the dentin (the inner layer of the tooth below the enamel). The process may be assisted by an activating light which further enhances the bleaching agent’s effect. Dental crowns have traditionally been used to seal a tooth after root canal therapy, or when a tooth is broken or fractured. The crown can be seen as a ‘cap’ for the tooth, covering the crown of the tooth and fitting over the entirety of its exposed surface right down to the gum line. While caps provide function and stability as well as a seal to protect the tooth, they can also be used to cover teeth that are damaged or discoloured. Crowns offer the opportunity to resurface a tooth with ideal size and positioning as well as produce it in a colour that matches its neighbouring teeth. Bridges are used to replace missing teeth and are anchored in place by neighbouring teeth or by an artificial root. Like crowns, the artificial tooth in a bridge can be made in the shape and likeness of neighbouring teeth in order to hide gaps left due to a tooth being extracted or lost. For aligning crooked or crowded teeth, orthodontic braces can be offered in either their traditional metal form, or, Invisalign® therapy may be an option for mild to moderate concerns. Braces and aligners put pressure on the teeth over a long period of time, which slowly coaxes the teeth into ideal positioning. White traditional braces are installed in the mouth and therefore are not removable, Invisalign® aligners offer a removable alternative. For more information about Invisalign® aligners, click here. Veneers offer the opportunity to create the illusion of colour and surface uniformity on teeth, without preparing and covering the entirety of the tooth’s surface. In this case, the tooth or teeth which are visible when speaking or smiling are prepared using a technique known as etching. This etching removes a small layer of the tooth’s surface and prepares it to receive the veneer, which is then bonded to the tooth. Veneers can be fabricated to match teeth and can be performed on one or several teeth to enhance the look of your smile.